BELIZE CITY, Mon. 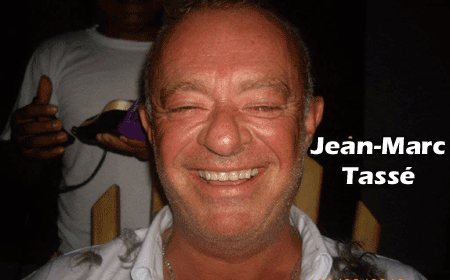 May 30, 2016–Supreme Court Justice Sonya Young has ruled that Jean-Marc Tassé, director of Robert’s Grove in Placencia, must pay the company $1.1 million in damages, to restore a parcel of land and a boat to the company which the director had allegedly put in his name. Back in 2014, the company passed a resolution stripping Tassé, then managing director, of his operational role in the company. The resolution meant that he could no longer sign checks. The board also went further to ban Tassé from the property, according to Boris Mannsfield, another company director. In 2011, Tassé, a Canadian, and Michael Kramer bought the inn from Bob and Risa Frackman, who launched the business in 1997. According to the court’s ruling, Tassé is majority shareholder of Sandhill Limited, which has an interest in Robert’s Grove via Sandhill Resorts Holdings, Ltd. The other owner of Robert’s Grove is minority shareholder, Mannsfield Family Partnership Belize Limited. Mannsfield, a German investor who has Belizean residency, told Amandala that the board of directors of Robert’s Grove held a meeting when they discovered that money was missing. He said that apart from passing a resolution to stop Tassé from playing any further operational role in the company, they also “passed a resolution physically banning [him] from the property,” because Tassé challenged the resolution of the board and wanted to continue in his operational role. Tassé then filed for an emergency injunction, which Justice Young denied. Mannsfield said that when Tassé was removed as managing director, he attempted to form a new board and claimed that he (Mannsfield) and Kramer were not a part of the board, and also tried to reverse, the decisions of the board. “That’s why we went to court,” Mannsfield said. For his part, Tassé contended that between 2010 and 2011, he had advanced $800,000 to Robert’s Grove and the funds he was accused of misappropriating had been taken from what he described as his personal advance account. Apart from the award for damages, the Supreme Court has ordered that Tassé be made to repay funds he wrongfully charged to the company’s credit card between 2012 and 2014. He was also ordered to pay costs, including $14,949.98 in fees owed to the court expert by the defendant and $75,000 awarded to meet legal costs for the claimant. Senior counsel, Eamon Courtenay, represented the company while senior counsel, Derek Courtenay, represented the defendant. Mannsfield said that there are additional funds and assets missing that the court did not have evidence to include in the verdict and they can continue to pursue those legally. We tried contacting Tassé’s attorney to find out if Justice Young’s ruling would be appealed, but we were told when we called that he was not available.